Brenna Balken is 16 years old and lives in Dilworth, MN, with her parents, Troy and Sonja, and her older sister, Ellie. 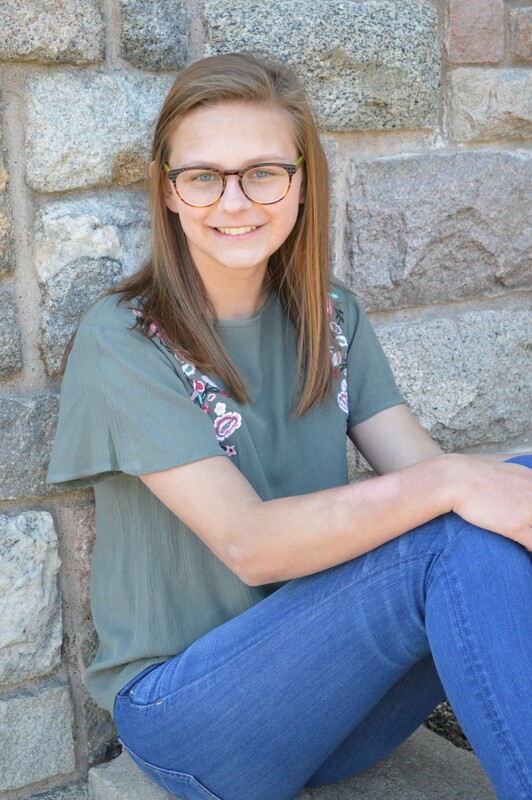 Brenna was diagnosed with enthesitis-related juvenile idiopathic arthritis (JIA) as a second grader after her parents noticed that she was dealing with unusual pain and difficulty walking. 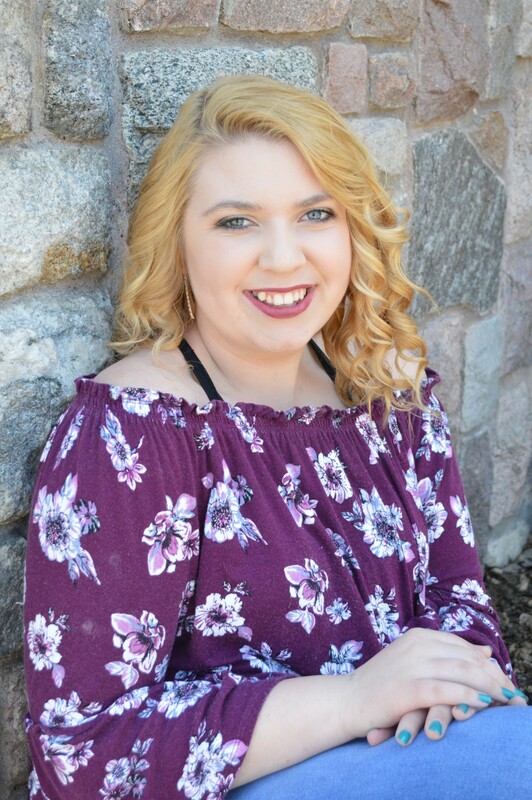 Brenna has tried many different medication combinations and treatments over the years, working with Dr. Vehe at the University of Minnesota Children's Hospital, including oral medications, injections, and infusions. Currently she receives her treatments at Sanford Hospital in Fargo, ND, working closely with her pediatric rheumatologist Dr. Syverson. Brenna enjoys golfing with both her family and on the Dilworth-Glyndon-Felton Rebels girls golf team at Dilworth-Glyndon-Felton High School, biking, rollerblading, and vacationing. Brenna has been involved with the Jingle Bell Run since 2012, recruiting many family and friends over the years to participate with her on the Rockin' Rebels team. Brenna enjoys going to Camp Cambria every summer and has met many great friends through this opportunity. She loves participating in the outdoor camp activities and sports, while learning beneficial tips and information about controlling and managing her disease. She has been given valuable education relating to nutrition, exercise, and general well-being. Activities such as the Jingle Bell Run and Camp Cambria provide excellent means for young adults such as Brenna to advocate for themselves, while helping other kids through the ups and downs of living with arthritis and to promote living life to the fullest! Brianna is currently a junior at Fargo North High School. She is 17 and an Arthritis Warrior! When she was 11 years old she was diagnosed with polyarticular juvenile idiopathic arthritis (JIA). It has been a quite long haul to finally get where she is today. Her journey started in Fargo where she began seeing an adult rheumatologist until she reached the age of 16. Over those five years, Brianna struggled with changing medicines and very painful flare ups. She enjoys spending time with friends and her humongous dog, Sebastian. Sebastian and Brianna have an unbreakable bond and are truly best friends, he has gotten her through flare ups and never fails to make her feel better. Although she was struggling at the time, she continued to play basketball along with getting involved with throwing for the track team. At 16, the doctors were just not getting where they needed to be and suggested that she be seen at the University of Minnesota (U of M) in Minneapolis, Minnesota. Brianna is still being seen at the U of M monthly. Since she has been there, Brianna has gone through many medicine changes once again however, this time, she has been moving closer and closer towards remission. Along with arthritis, her doctor made a few discoveries that she not only has JIA but celiac disease and autoimmune hepatitis! Now that these diseases are known ,treatment is going much better and she is moving closer and closer to remission every day. Brianna is overjoyed that she is able to share her story and help other kids just like her while battling this destructive disease. Brianna hopes to see you at the jingle bell run!